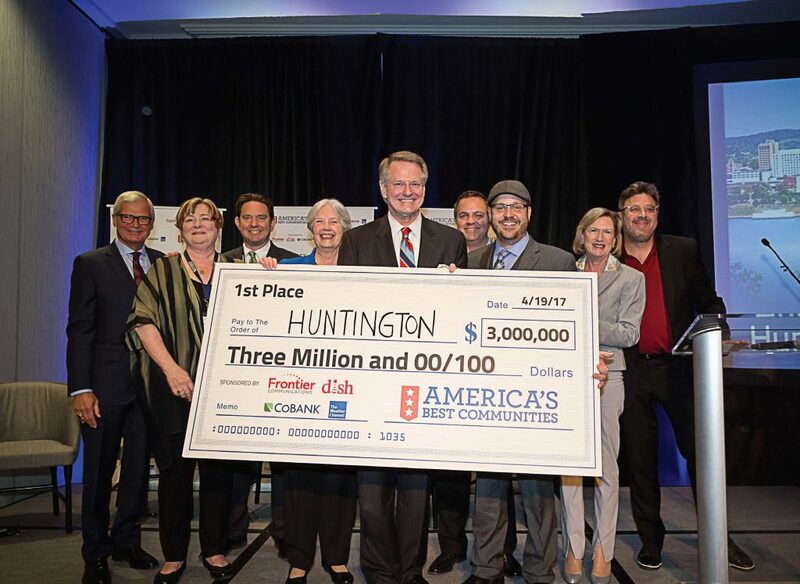 When city leaders in Huntington, W.Va., first learned about the “America’s Best Community” competition, they thought it would provide them with the perfect opportunity to envision a stronger future for their constituents and to create the strategy that would turn that vision into a reality. They did not expect to walk away with the title when the winner was announced last April and a $3 million prize for first place. Sponsored by Frontier Communications, Dish, CoBank and The Weather Channel, America’s Best Community is a nationwide competition designed for smaller municipalities — populations of 9,500-80,000 — in the Frontier Communications service area to showcase why they are a cut above the rest over a three-year period of time. While 350 cities in 27 states originally applied to compete, they were quickly paired down to 50 quarter finalists who were best able to articulate the opportunities and challenges facing their community, a desire to implement change, detail current initiatives and outlines for future economic development and provide a clear vision for their community’s future and prospects for achieving their revitalization goal. Chambers said that’s when the competition intensified. During the quarterfinal round, the municipalities were expected to complete a community revitalization plan focused on economic development, obtain $15,000 in matching funds from the community, present a six-month budget outline for cash award and community matching funds and create a budget proposal of $100,000 for a possible 11-month implementation of their community revitalization plan. Huntington’s revitalization plan, or the Huntington Innovation Project, is designed to transform neighborhoods and blighted areas that have been affected by the decline in manufacturing and coal industries into hip hubs for innovative manufacturing, advancement training and healthy community improvements that will all be connected via high-speed broadband. The three most impacted areas in Huntington include the West End, Fairfield and Highlawn. 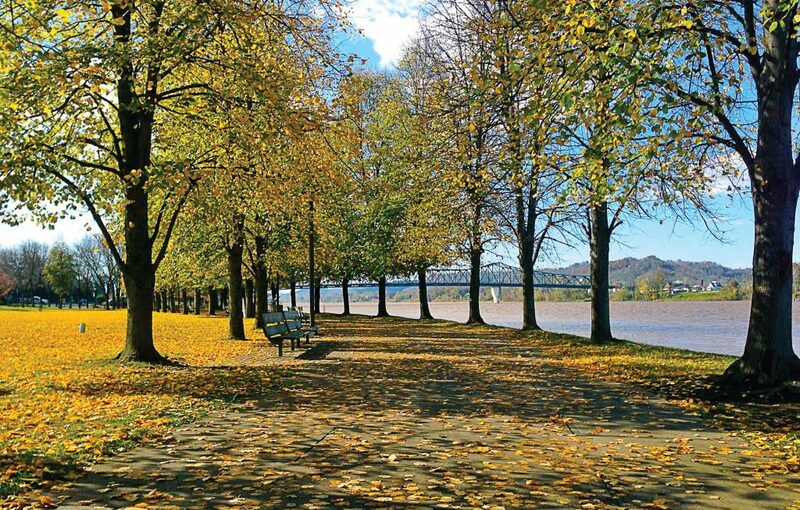 In Fairfield, Huntington plans an expansion of a healthy innovation corridor that will spring from its regional medical anchors — Cabell Huntington Hospital, St. Mary’s Medical Center, Robert C. Byrd Center for Rural Health and the Marshall University Joan C. Edwards School of Medicine. In Highlawn, Huntington has received several EPA grants that will help study and redevelop “brownfield” properties that have been negatively impacted by environmental hazards and implement a reuse plan that will include research and development facilities, retail stores, recreational trails and riverfront development as well as stormwater improvements. Chambers said that all three initiatives will be connected by Huntington’s “Gigabit City” initiative, which will deploy high-speed internet capabilities that will create future job opportunities, enhance sustainability and serve as a gateway to the revitalizing of the Tri-State and Appalachian region. He said the prize money will be overseen by a financial agent in a special account so that it does not fall into the city’s general fund, never to be seen again. He knows the community that got behind these initiatives wants to see them come to fruition and he knows transparency is a big part of that. 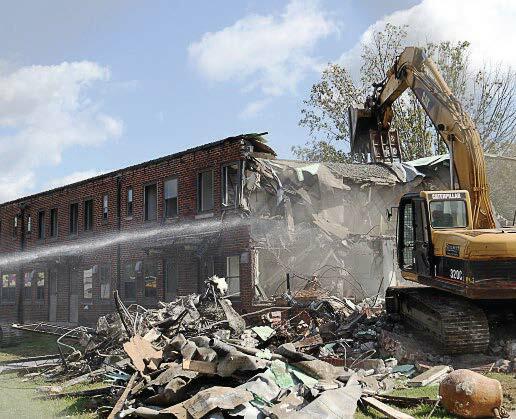 “It was really exciting to be part of such an exciting opportunity that encouraged communities to create their revitalization plans and take the steps necessary to start securing funding for them.